My unadorned Bake & Shark, before I hit the topping stand. Before I went to Trinidad last September for the Trinidad and Tobago Film Festival, my liquor store guy, who is from Trinidad, gave me a few tips on what to see and do, and most importantly, what to eat. “You’ve got ta try da bacon shark!” he said. Bacon…shark? I cocked my head and promised I would. I do love bacon, and I’ve eaten weirder things than shark, so I saw no reason not to give it a try. Once I got to Trinidad, however, I realized I had misheard him entirely. The Caribbean delicacy to which he was referring was actually called a Bake and Shark. No bacon to be found. 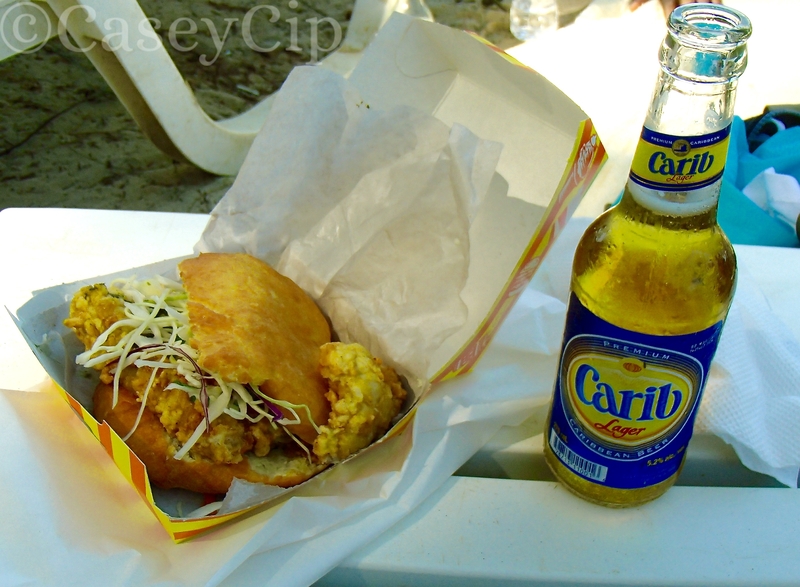 Bake and Shark is a classic street food sandwich found at the multitudinous food stalls all over Trinidad and Tobago, the most delicious of which are said to be found at Maracas Beach. Maracas is about a half-hour drive north from Trinidad’s largest city, Port of Spain, and is one of the loveliest beaches I’ve ever visited. So pristine and quiet, the beach seemed untouched by modernity. I was surprised that major hotel chains hadn’t snatched up land long ago to build giant all-inclusives. Thankfully the people of Trinidad have prevented this from happening, which also allows for local fishermen to bring the catches of the day right onto the beach and into the food stalls, resulting in super fresh Bake and Shark, or Shark and Bake, as the locals sometimes call it, swapping the words around. The “bake” is a chewy piece of fried roti dough. Add a crispy piece of seasoned, fried shark meat inside, and you’ve got yourself a Bake and Shark. You can enjoy it as is, but the best Bake and Shark stalls will have a variety of toppings from which to choose, including lettuce, coleslaw, tomato, and sweet or spicy pineapples, plus a variety of sauces like your standard mustard or ketchup or more adventurous ones like garlic sauce, chili sauce, cilantro sauce, tamarind, or shado beni chutney. I topped mine with some coleslaw, garlic sauce, and a few mango chunks and washed it down with a cold Carib. My Bake and Shark, complete with toppings and a Carib cold one. The sandwich was wonderfully delicious, and especially refreshing sitting on a hot beach. The bake was chewy and crispy and the shark, while also a little chewier than most, tasted much like any thick white fish that I’ve had. 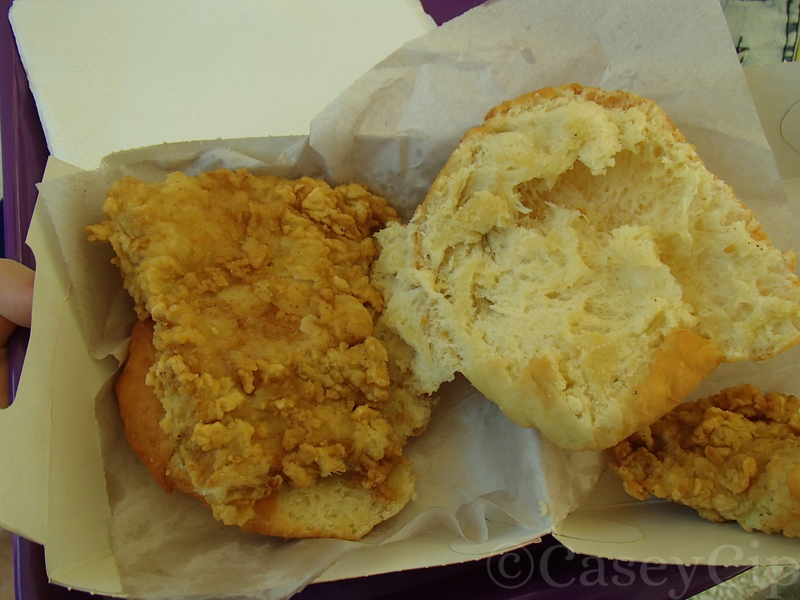 Which is to say, if you fry it up in some delicious breading, than it’s perfect. Apparently I had made the right move by going to Richard’s. 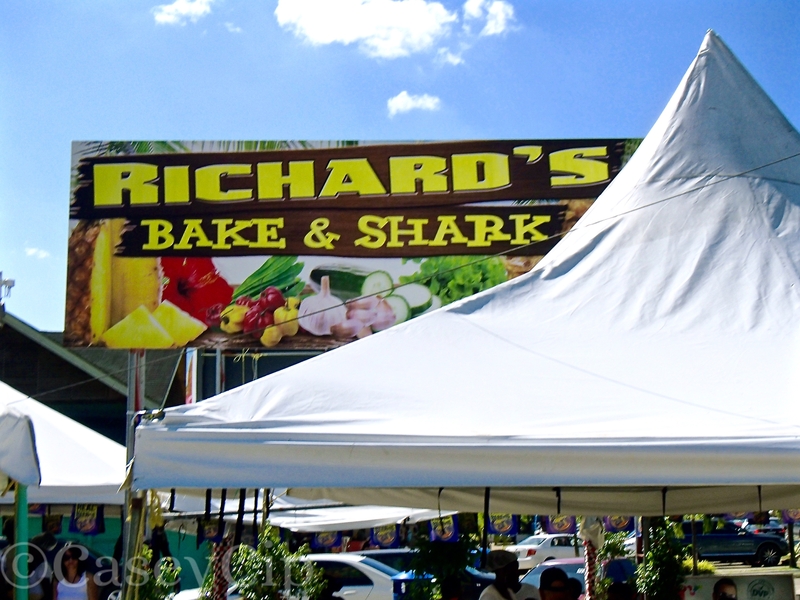 There are many stalls lining Maracas Beach, but Richard’s is one of the most popular and is said to be the best. 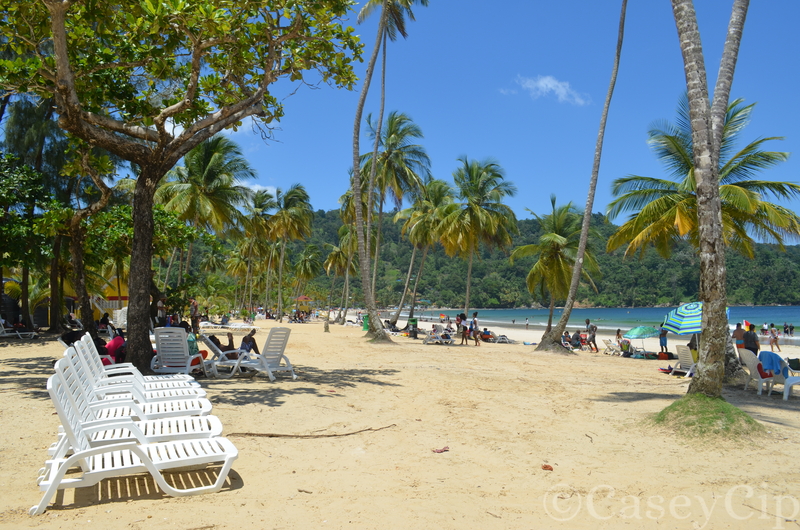 If you find yourself at Maracas Beach in Trinidad, definitely give Richard’s a visit. Richard’s stall on Maracas Beach, Trinidad.